Book up on Amazon – other retail sites soon. If you can’t stand the heat, get out of Callie’s Kitchen! Greek-American restaurateur Callie Costas faces down another killer in the small waterfront town of Crystal Bay, Wisconsin. Recipes included! Before long, a motley crew of suspects makes things as juicy as the succulent berries strewn around Callie’s Kitchen. And that’s not all Callie’s got on her plate. Add family obligations, a deepening romance with a local detective and unexpected personnel problems to the mix. One thing’s for sure: Callie’s got the recipe for a long, hot summer! 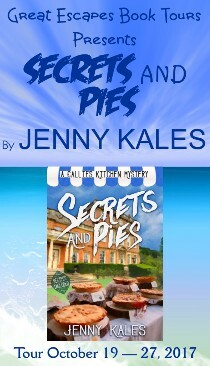 SECRETS AND PIES is the third installment in the Callie’s Kitchen Mystery series. What initially got you interested in writing? I’ve always loved to read and I think that goes hand in hand with writing. Sooner or later, you want to tell your own story! I started writing my own stories when I was very young. What genres do you write in? 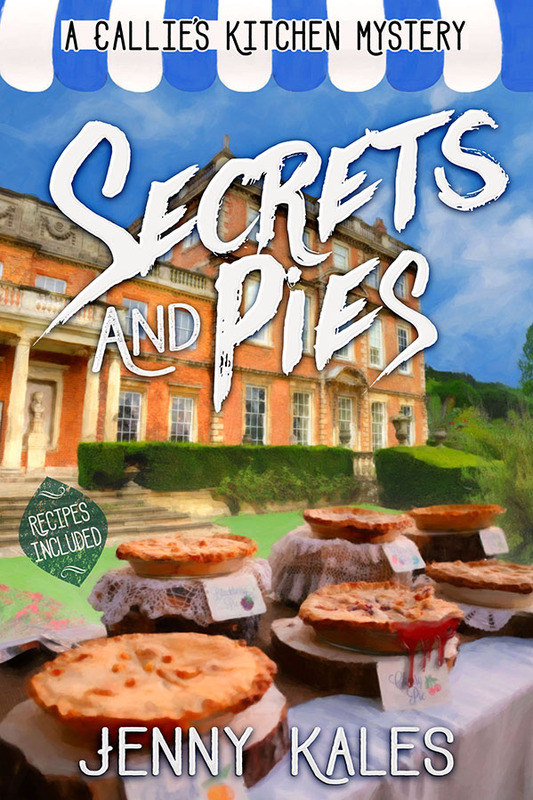 My current series is cozy mystery. What drew you to writing these specific genres? For about the past 20 years or so, I’ve loved reading cozy mysteries. I’ve always loved mystery and suspense, but cozy mysteries hold a special place in my heart. What I like about cozies are the small-town settings, the colorful characters that can feel like friends, a fun puzzle to solve and finally, order restored in the community. Despite the murder, a good cozy should have an uplifting finish that makes you want to learn more about the characters. How did you break into the field? I guess you could say I just did it! After careful consideration of the market, I decided to publish independently with my first book in the Callies’ Kitchen Mystery series, ON THE CHOPPING BLOCK. What do you want readers to take away from reading your works? I want the characters and setting to leap off the page and draw readers into the world I’ve created. I want people to be entertained and get a “cozy” feeling from this world, and I want them to enjoy finding clues and trying to solve the mystery. I also hope they learn something interesting about the Midwest and/or Greek culture, since those are two big themes in my series. What do you find most rewarding about writing? I love getting deeply into a story and having the characters take me into the direction I didn’t expect. It’s a great feeling to look up from writing and realize you’ve been at it for several hours and they just flew by. I also love hearing from readers who have enjoyed my stories and want more! What do you find most challenging about writing? Sometimes it can be hard to find the discipline to sit down and do it. You can’t only write when you feel like it. You have to treat it as a serious commitment. When you do that, the words tend to flow more easily, anyway. What advice would you give to people wanting to enter the field? Learn about writing, get feedback from other writers and write what you love. If you love the story, the readers will too. What type of books do you enjoy reading? I honestly love to read everything. Fiction, non-fiction – all of it. I even read cookbooks for enjoyment. Is there anything else besides writing you think people would find interesting about you? I love to cook and bake nearly as much as my main character. One of my favorite shows is The Great British Bake Off. 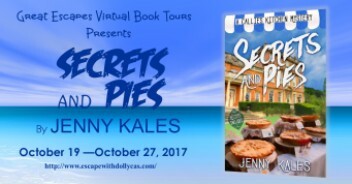 Award-winning writer Jenny Kales is the author of The Callie’s Kitchen Mystery series. 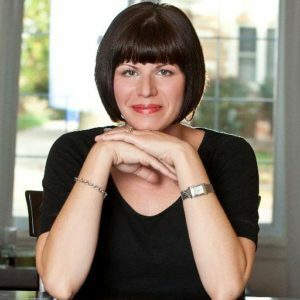 Though she’s worked as a writer and journalist for years, fiction writing is her first love and her marriage into a Greek-American Midwestern family inspired The Callie’s Kitchen mysteries, featuring Calliope Costas, food business owner and amateur sleuth. The setting of the story, “Crystal Bay,” is inspired by a favorite family vacation spot – Wisconsin’s beautiful Geneva Lakes. Kales is an avid reader, cook and baker and she’s addicted to mystery TV, especially anything on Masterpiece Mystery or BBC America. She lives just outside of Chicago with her husband, two daughters and one cute but demanding Yorkshire terrier.